Firecracker had a friend over this afternoon. 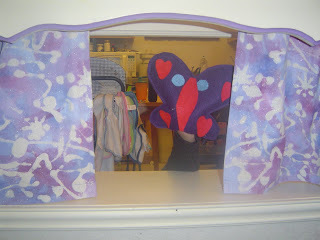 They were trying to think of things to do and we've had felt and puppets on the brain...so we made some impromptu butterfly puppets. I've been trying to think of a way to get Firecracker in on the puppet fun and figured butterflies were good because they have any sort of shapes and stuff on them they wanted and still look like butterflies. I started by tracing the girls hands with them spread as wide as they'd go on paper. This way I knew approximately how big they should be. 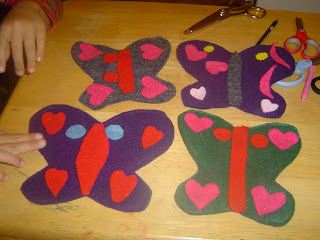 To make these I drew a butterfly shape on some newsprint paper for a pattern. I used the side that looked the best to make two sides of a new pattern, so it would actually look the same on both sides. I cut that shape out of felt twice. Then I sewed around the sides, leaving the bottom open for their little hands. 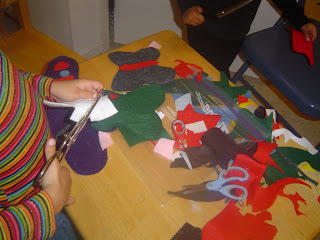 Then I set them to work at the kid table with my bag of scrap felt and gave them each a pair of kid-scissors. This was the hardest part of the project because felt is not that easy to cut and they got frustrated with cutting. If I were to do this again, it would have been better to have a bunch of shapes already cut out and they could trim them down or use them as they are. That way they can still have the fun of cutting, but they don't have to cut them all out on their own. I ended up doing a lot of the cutting for them by taking orders for the shapes and colors they wanted. Once the girls had their butterflies layed out the way they wanted them, I hotglued the shapes onto the butterflies for them while they watched. They loved it! Firecracker's friend was sweet and wanted to make one for each of her sisters too. I think we may do this again some other day with pumpkins finger puppets and have them make jack-o-lanterns from them. 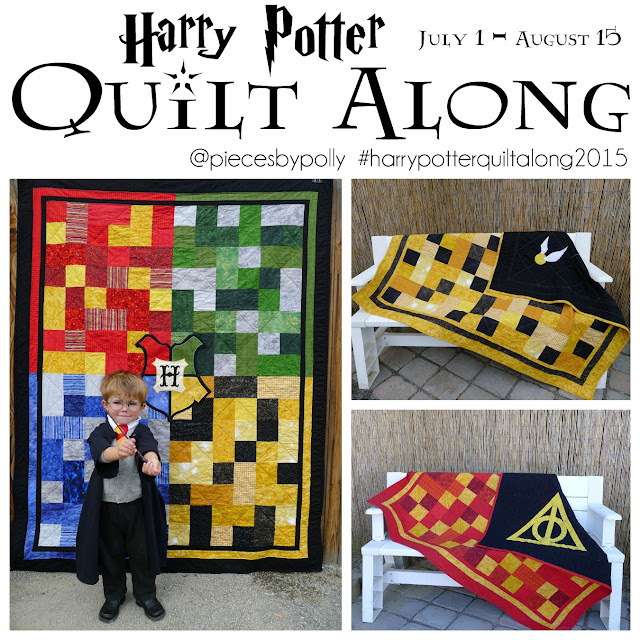 Those would go great with this idea from Christianne at Little Page Turners. 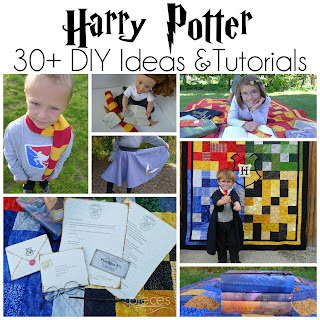 (She has all kinds of great ideas of activities to do with fun picture books). Oh, yes...do you remember memorizing that pumpkin poem when you were in elementary school? I think all of you kids learned it.